Brazilian Organic Cane Sugar is grown and manufactured without any chemicals, fertilisers or pesticides and is certified by IFOAM and Bio-Gro NZ. Organic cane sugar is an unbleached, unrefined, pale gold, free-flowing granulated sugar with a sweet taste and neutral aroma. The molasses is not separated - thus helping it to retain most of its essential nutrients, vitamins and minerals found naturally in the sugar cane plant, giving it a mild, caramel-like flavour. White refined sugar is an unnatural substance produced by industrial processes that refine sugar down to pure sucrose, after stripping away all the vitamins, minerals, proteins, enzymes and other beneficial nutrients. The strange white crystals (C12H22O), that result are an alien chemical which the human body finds hard to handle. 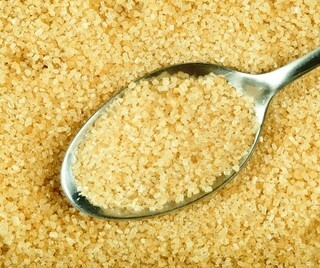 Organic cane sugar is an unbleached, unrefined, pale gold, free-flowing granulated sugar with a sweet taste.